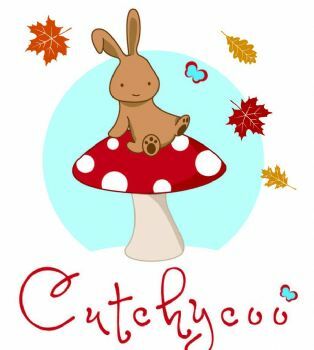 At Cutchycoo we offer breathable layers can help keep your baby comfortable. 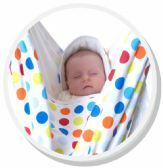 You can surround you baby's skin with the gentle cashmere softness of our bamboo/soy cotton clothing, pima cotton range or even our merino wool range. We are here for you and your baby whatever the weather! Bringing the 'cwtch' (welsh for cuddle) to your little ones from some well known natural brands of baby products. 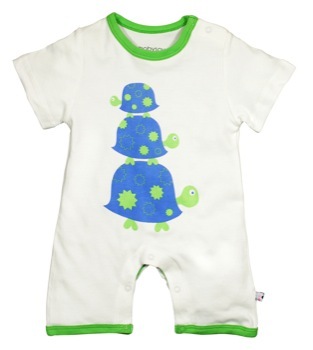 Wrap your little ones in the natural softness of our organic baby wear, and sleepwear. 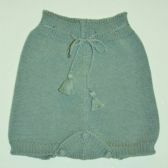 Merino wool sleepwear 100% pure New Zealand wool. 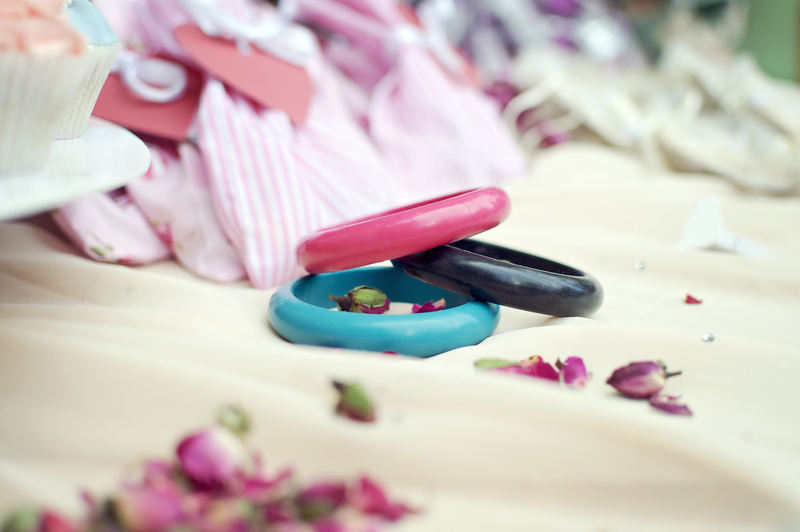 Our new must-have stylish mum gift, but careful the babies want it too - IzzyMelody teething bangles - Suitable for baby from birth and for mum too, available in three stylish colours. 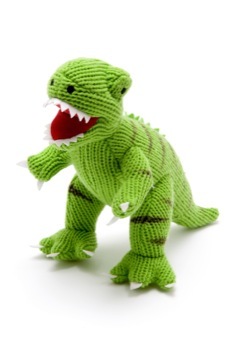 Cutchycoo has a lovely range of hand made knitted and crocheted soft toys, with nostalgic characters like Humpty Dumpty, a dragon and and if you have a little dancer why not treat them to the nutcracker prince or a ballerina. 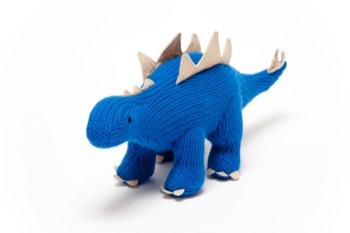 For the dinosaur lovers out there we have a lovely collection of three dinosaurs (a red tricerotops, blue stegosaurus and a green T-rex that looks a bit like georges from peppa pig)- and you can get discount if you purchase all three together. All our products are beautifully packaged, using tissue paper and a choice of double edged satin ribbon (Peachy pink, Apple green or Sky blue). Using Cutchycoo you can create your own bespoke gift package by mixing and matching any of our products and selecting to 'Gift it" and we will do the rest for you, from presenting products selected in a lovely keepsake box, that the new mum can use as a memory box as her little one grows..
Personalisation feature on some Cutchycoo products is done by freestyle machine embroidery, using varient colour cotton threads. Follow us on Facebook, and see when we have more Special Offers and discounts available. 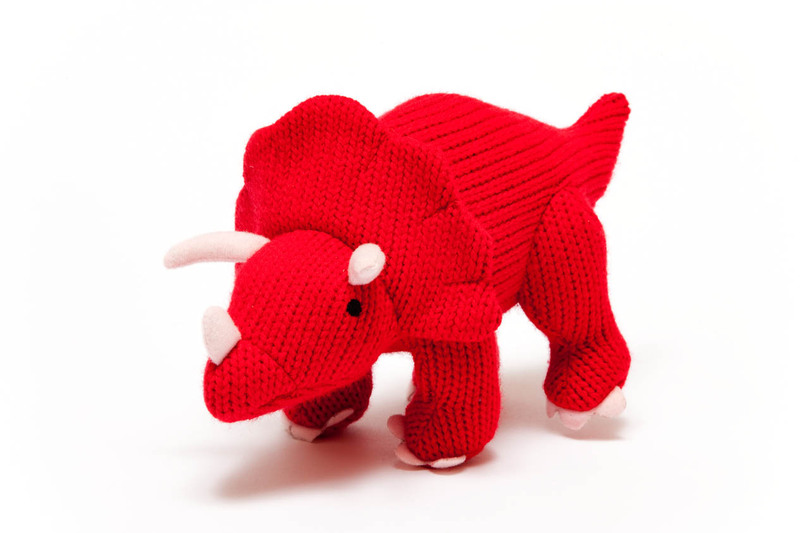 A cute cuddly vibrant red triceratops. 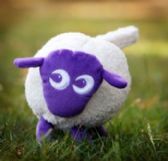 Fairy Colour Blast - "on the go"
ewan the dream sheep™ is a very soft cuddly toy with light and sound features (including actual womb and heartbeat recordings) that calms babies and toddlers and lulls them into a peaceful slumber. Apart from being simply the cutest sheep on the block, ewan™ makes a perfect new baby gift!